Draft: 2015, Houston Astros, 5th rd. Trent Edward Thornton ... Graduated from Ardrey Kell High School in 2012 ... Attended the University of North Carolina where he went 22-12 with a 2.82 ERA over 63 games...Was named a freshman All-American by Baseball America, Perfect Game, the NCBWA and Louisville Slugger in 2013 after setting a school freshman record with 12 wins ... Ranked as Toronto's 15th-best prospect by MLB heading into 2019. Spent the entire campaign with Triple-A Fresno ... Went 9-8 with a 4.42 ERA over 24 games (22 starts) while striking out 122 batters (31 walks) over 124.1 innings en route to a career-best opponents' batting average of .248 (1.20 WHIP) ... Earned PCL Pitcher of the Week on June 17 (1GS, 8.0 IP, 1H, 2BB, 3K) ... Struck out a career-high 11 batters over six innings on June 29 at Sacramento (4H, 4ER, 1BB) ... Earned the win in both of his postseason starts, combining for a 1.64 ERA (2 ER/11.0 IP) with 13 hits, four walks and 14 strikeouts ... Played for Scottsdale in the Arizona Fall League...Posted a 4.02 ERA (7 ER/15.2 IP) with 20 strikeouts and four walks across nine relief appearances...Was named to the AFL Rising Stars Team ... Was acquired from Houston in exchange for INF Aledmys Diaz on November 17 and added to Toronto's 40-man roster to protect him from the Rule 5 Draft. Spent the majority of his season at Triple A Fresno, but went a combined 9-6 with a 5.21 ERA (76ER/131.1IP) and 101 strikeouts between Fresno (21g) and Double A Corpus Christi (4g)...began the season with the Hooks and made four appearances (three starts)...went 1-2 with a 6.06 ERA (11ER/16.1IP)... moved up to Triple A at the end of April and remained at that level through the end of the year...went 8-4 with a 5.09 ERA (65ER/115IP) in 21 games (20 starts) with the Grizzlies...posted the second-best walks per 9.0 innings ratio (1.80, 23BB/115IP) in the Pacific Coast League... ended the season with three straight quality starts, going 2-1 with a 2.25 ERA (5ER/20IP)...tied a career-high with 8.0 innings in his final outing of the year at Salt Lake on Sept. 2, allowing two runs on six hits in a Fresno win. Split his season between Double A Corpus Christi (7g) and Class A Advanced Lancaster (17g), combining to go 10-5 with a 3.52 ERA (53ER/135.2IP) and 124 strikeouts versus 21 walks in 24 games (21 starts)... began the season at Lancaster, going 7-4 with a 4.12 ERA (41ER/89.2IP) and 89 strikeouts...was named the Lancaster July Pitcher of the Month after going 4-0 with a 2.70 ERA (8ER/26.2IP), two walks and 28 strikeouts in four starts during July...moved up to Corpus Christi at the end of July and excelled, going 3-1 with a 2.35 ERA (12ER/46IP) and 35 strikeouts with five walks to end his year. Began his professional career at Class A Short Season Tri-City, posting a 4-0 record with a 3.27 ERA (20ER/55IP) in 15 games (12 starts). November 20, 2018 Toronto Blue Jays selected the contract of RHP Trent Thornton from Buffalo Bisons. November 17, 2018 RHP Trent Thornton assigned to Buffalo Bisons. July 22, 2018 Trent Thornton roster status changed by Fresno Grizzlies. July 15, 2018 Fresno Grizzlies placed RHP Trent Thornton on the temporarily inactive list. May 27, 2018 Fresno Grizzlies activated RHP Trent Thornton from the 7-day disabled list. May 21, 2018 Fresno Grizzlies placed RHP Trent Thornton on the 7-day disabled list retroactive to May 20, 2018. January 25, 2018 Houston Astros invited non-roster RHP Trent Thornton to spring training. July 13, 2017 Fresno Grizzlies activated RHP Trent Thornton from the temporarily inactive list. July 6, 2017 Fresno Grizzlies placed RHP Trent Thornton on the temporarily inactive list. May 18, 2017 RHP Trent Thornton assigned to Fresno Grizzlies from Tri-City ValleyCats. May 15, 2017 RHP Trent Thornton assigned to Tri-City ValleyCats from Fresno Grizzlies. April 29, 2017 RHP Trent Thornton assigned to Fresno Grizzlies from Tri-City ValleyCats. April 26, 2017 RHP Trent Thornton assigned to Tri-City ValleyCats from Corpus Christi Hooks. February 26, 2017 RHP Trent Thornton assigned to Houston Astros. July 23, 2016 RHP Trent Thornton assigned to Corpus Christi Hooks from Lancaster JetHawks. April 5, 2016 RHP Trent Thornton assigned to Lancaster JetHawks from Tri-City ValleyCats. June 19, 2015 RHP Trent Thornton assigned to Tri-City ValleyCats. 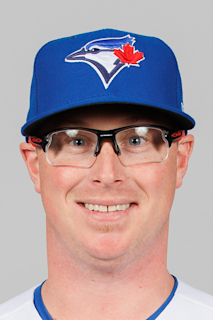 June 16, 2015 Houston Astros signed RHP Trent Thornton.